Looking for information on Purekana products but just couldn’t find anything reliable so far? Don’t worry; you’re not the only one. Honest Purekana review is hard to come by because this brand is relatively new and not many know of it. But, being the CBD connoisseur that I am, it didn’t take long for me to find out more about this company. In this guide, I’m going to give you a thorough introduction to the brand and my experience with their products. Did I need to use Purekana for anxiety and stress? No, because I was already satisfied with FAB CBD. I decided to go ahead and try it anyway out of curiosity. So, enough about me; let’s talk a bit more about the brand and how they came to be. All the information I am about to state here is also on their website, so take everything with a pinch of salt. Apparently, this brand started out as a small family business. Their motto was to produce the finest quality CBD oil products using advanced extraction methods. The company managed to create CBD of such high potency that it didn’t take long for them to go mainstream. Hey, you’ve to take my word for it on this one because PureKana has indeed become a relatively well-known brand in the US. Over the last few years, the brand has made it to dozens of dispensaries throughout the US and ships their products to all the 50 states. So, what caused the small-scale family business break it into the big leagues? How did I know about all the stuff? I ordered the products from their website, duh! I figured that PureKana has potential, but never expected that they would be dedicated so much to their cause of providing unparalleled customer service. Trust me; I called them up and asked a LOT of questions before buying, and the friendly voice on the other end answered them all. Now that we have talked enough about the brand, let’s move on to my reviews of their products. According to the company, they extract CBD oil only from European certified organic hemp that’s been raised in accordance with the highest standards. Okay, what exactly does this mean? It means that PureKana believes in only providing quality and uses a state-of-the-art CO2 extraction method to produce full spectrum CBD. Again, this is just information that I found on their website. Do I believe them? Yes, I’d say so because so far my experience with PureKana CBD has been good, if not great. Oh! The company also stresses the fact that they don’t use hemp that has been exposed to herbicides, pesticides, and other harmful chemical fertilizers. Quite honestly, these are features that I’m used to in my products, so I wouldn’t say am highly impressed. What is impressive, however, is the fact that I experienced instant relief from my back pain and anxiety. Now how do you suppose that happened if the company didn’t stay faithful to their words? All of their CBD products are rigorously lab tested by a third party and only contain .03% trace of THC. So, you don’t have to worry about feeling high after consumption. The CBD is extracted from 100% pure hemp that contains no artificial preservatives, chemical fertilizers, or other additives. The only solvent-free CO2 method is used for extraction, which ensures optimal purity and potency in the CBD oil. CBD oil is available in three flavors: regular, mint, and vanilla. The bottles are available in two sizes: 200 mg (20 servings) and 400 mg (40 servings). Value for money pricing that may appear to be a bit on the expensive side initially. 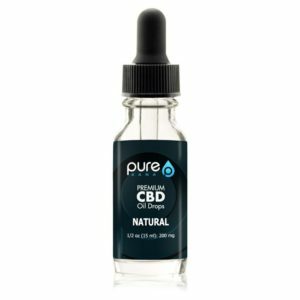 If you’re a fan of taking CBD Orally, then you’ll be glad to know that PureKana CBD Oil is best consumed this way. 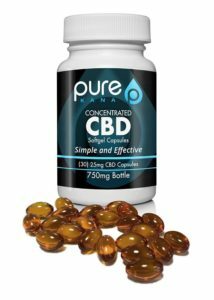 What’s my thought on PureKana CBD Oil? Oh, I’ll have to admit that I am more than just satisfied. In addition to the exciting flavors, I’m also glad that this brand of CBD oil works quite well to alleviate my stress and anxiety. Though, I kind of feel that its effects on my back pain have been slightly underwhelming. I wouldn’t write it off; I wouldn’t call it a deal-breaker either. I especially liked how friendly and responsive to customer service was in clearing my doubts. If you haven’t tried CBD oil before, prepare to be amazed. And if you have, I dare say that you’ll be quite surprised with how good this product can be for your mental health. Don’t enjoy under the tongue method, or don’t have the time? No worries; you can also buy the benefits of CBD oil compressed into ready-to-go capsules. Even though these are a bit pricier than CBD oil, these capsules will allow you to get your daily dose of CBD without the hassle of using a dropper. This is a Non-GMO, Certified substance that’s been lab tested for optimum potency and purity. The substance comprises of only pure cannabidiol with only trace amounts (.03%) THC and is hence a non-psychoactive substance. You consume PureKana capsules the same way you take any other Capsule. Just pop one and wash it down with water. If you are already taking pills for vitamins and nutrients, then take these capsules alongside it. There is really nothing more to it. What’s my thought PureKana Capsules? It’s great! I mean, what else is there to say? Even though I’m not a huge fan of popping pills, I have to admit that this is a more convenient way of getting one’s daily CBD intake. The product helped me with stress and anxiety symptoms, even though it promises to do much more like treat chronic pain, poor appetite, inflammation and swelling, glaucoma, etc. Capsules are especially useful when you’re traveling and do not want to attract too much attention towards yourself by vaping. This topical cream has been made using CBD from the best Colorado hemp. The product looks, smells, and feels like a regular moisturizing cream, but carries all the benefits of full spectrum CBD that can be beneficial for your body. Like all the articles, you can apply this directly to the troubled areas of your body for fast relief. Take PureKana Topical CBD Ointment as much as necessary and apply it directly to the affected area. The substance and gets to work on your body instantly, whereas consumable CBD products like oil and capsules can take up to 2 hours to enter the bloodstream. 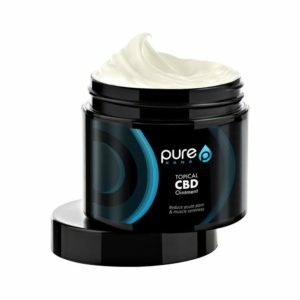 What’s my thought on Topical CBD Ointment? Now here is one product that I can wholeheartedly support. I used it a couple of times to treat my back pain, and almost always got good results. You have to really rub the ointment on the affected area for the product to show effects. Other times, I used this as face cream, and it felt like just any other moisturizer. The company claims that this ointment can treat rashes, moles, warts, and a few other types of skin conditions. I don’t know how valid these claims are because I have neither of those. Why don’t you try it out? For the price, it certainly can’t hurt. Easy! Just visit their website me, add the product to cart and checkout. The company has made the process straightforward by providing payment options with MasterCard, Visa, and American Express. Also, don’t forget to use our exclusive discount coupon to snag an item at a lesser price.